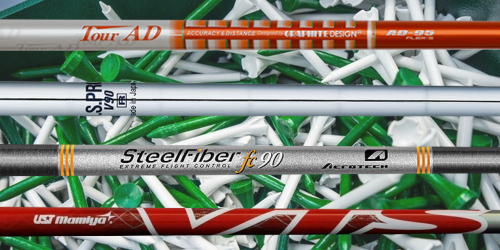 When it comes to golf shafts, personal preference is everything. That said, for a player to be able to choose the ideal golf shaft, they have to know what to look for first. The most important property of all golf shafts is flex. Flex refers to how much a shaft bends at the time of a swing. It not only affects how far I can hit the ball but also how precisely. All golf shafts have a bit of flex to them, no matter how stiff they are. That’s why it’s essential for every player to choose a golf-shaft with the right amount of flex. Players who hit harder and have a fast swing will likely prefer golf club shafts with more flex. On the flip side, players who have a slower swing speed are generally more comfortable with a softer flex. Putter shafts, for obvious reasons, don’t have to have a lot of flex. However, all other golf club shafts types will usually have several flex options. Like flex, shaft torque matters quite a bit as well. Torque is how much a shaft will twist during swing and impact. While it can change the trajectory of a shot slightly (lower torque results in a less trajectory), where torque counts most is in the “feel” of a golf club. A club with a higher torque shaft will probably feel “softer,” while a lower torque shaft will give a harder or stiffer feel to it. Perfect Golf Club Shafts are Different for Everyone! Remember, at the end of the day, no golf shaft is perfect for every player! We offer a wide selection of golf shafts - steel and graphite. In every type from drivers, fairways, hybrids, irons, wedges, and putter-shafts. We also have the most common flex options, L, A, R, S, X, and TX, as well as, a variety of not so common flexes. That means that no matter the player’s preference, they can find their ideal golf club shafts match here.